"No-one has ever become poor by giving." An estimated 10,000 men and women across Somerset and Wessex suffer from eating disorders. Eating disorders are a severe and enduring mental illness, with the highest mortality rate of any mental illness. 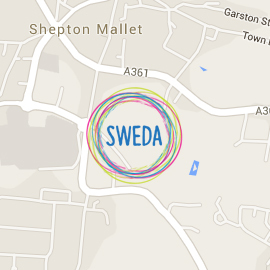 SWEDA is helping to improve the life of people with an eating disorders. SWEDA has recently been awarded a 5 year 'Reaching Communities' grant from The Big Lottery which has enabled us to fund a comprehensive Eating Disorders service throughout Somerset. As the demand for our services continues to grow, we need your help more than ever. We need to ensure that we can provide these vital services, now and in the future. There are a number of ways that you can support the activities SWEDA undertakes. As a charity, SWEDA relies on donations to fund our invaluable services for people with eating disorders. Just a small donation can make a big difference to us. Whether you would like to make cash donation, leave a gift in your will or organise a fundraising event in your community, we would welcome your support.